When she was twenty, she rebelled. She shut her scores, moved to a drama class and wrote and played pieces for children. “I started to sing in a cabaret style, somewhere between a narrator and actor. But it was jazz that bewitched me.” By chance she ended up at the Paris Conservatory which gave her solid training in harmony, composition and jazz singing. Camille Bertault discovered the theory behind her spontaneous creations, combined improvisation and her cabaret joys, came back to Ravel via jazz - “the pleasure of combining all the stages I had passed through”. The next stages were natural: she filmed herself singing Coltrane's part on Giant Steps and the buzz ensued. Soon afterwards in 2016 her first album, En vie [Alive], emerged. Then François Zalacain, head of American label Sunnyside, introduced her to Michael Leonhart and Dan Tepfer. Michael, a trumpeter and multi-instrumentalist would produce her new album while Dan would accompany her on piano. 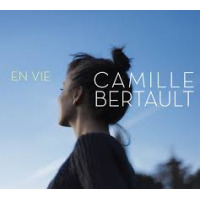 “They’re both French-speaking and interested in the text,” enthuses Camille Bertault, who doesn’t want to make albums where the voice just serves as an instrument. She likes lyrics to hold the limelight and many of her colleagues on this album have had their own adventures in song - Stéphane Guillaume on saxophone, Daniel Mille on accordion, Matthias Malher on trombone, Christophe « Disco » Minck and Joe Sanders on bass, Jeff Ballard on drums. 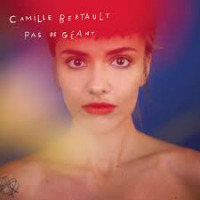 Together they have created more than an album just about jazz, vocals or some pre-set fusion: Pas de géant is an album about Camille Bertault, her encyclopaedic culture of pleasure, her taste for vocal cascades, her silky sensitivity, her tendency for acrobatics and her evident unbridledness. Coltrane couldn’t have seen her coming but he is sure to be looking down and smiling. All About Jazz musician pages are maintained by musicians, publicists and trusted members like you. Interested? Tell us why you would like to improve the Camille Bertault musician page.